Corporate Identity layout consisting of a ledger notebook, letterhead, business cards and a smartphone. 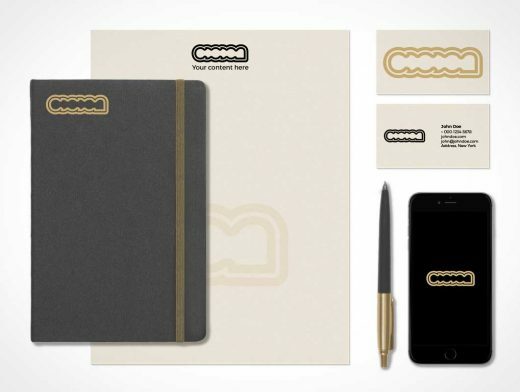 This PSD template is perfect for representing your corporate brand on a small stationery subset of items. Free to download, this PSD mockup comes with all required Smart Object layers for instantly rendering your brand logo on the various items in this Photoshop template.